WARNING there may be spoilers! The first installment of Tales of the Third Dimension is written and directed by EO Studios alumni Thom McIntyre. McIntyre penned the inaugural EO Studios stereoscopic projects; Rottweiler: Dogs of Hell (1982), Hit the Road Running (1983) and Hot Heir (1984) as well as a number of early films for Owensby including Seabo (1978) and Living Legend: The King of Rock and Roll (1980) --a disguised Elvis Presley biopic, which starred Owensby as the King renamed Eli Caulfield, with songs by Roy Orbison and Ginger Alden (Presley’s real life fiancée at the time of his death). Does this couple remind you of someone... undead? With “Young Blood” McIntyre draws upon the classic monster films of the sixties and seventies as inspiration. 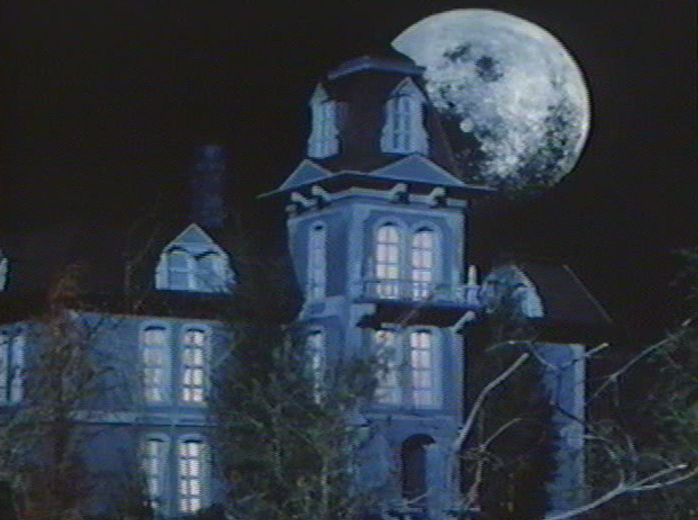 Two social workers, Dudley and Ms. Marquette make a mysterious late night house call to the eerie Victorian Manor, in order to facilitate an adoption for its residents, an enigmatic Count and Countess. Although they already have a small salo-faced brood of their own they wish to add to their family. Dudley has been weary of the Count from first meeting (perhaps it’s his long black cape or Transylvanian accent), yet he consents to the adoption request due in no small part to the urgings of Ms. Markette (seemingly mesmorized by the count). A mute boy is brought to the new parents, described as a problem child with no explanation given. 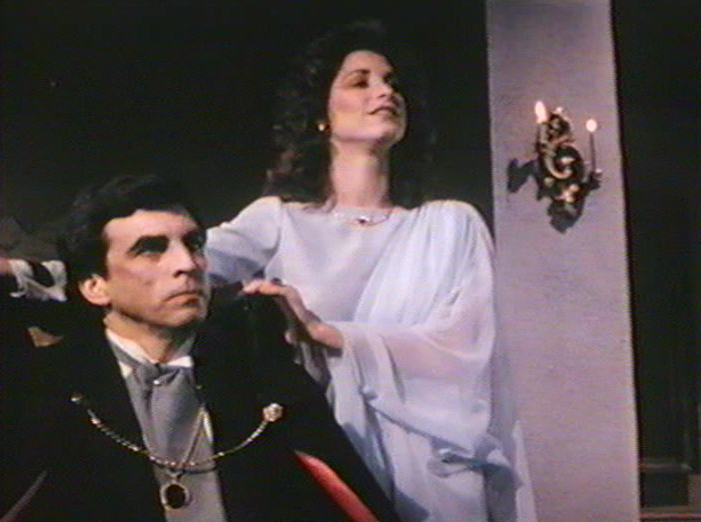 At this point it becomes clear that the couple are indeed vampires as the Count drains the blood from Ms. Markette. 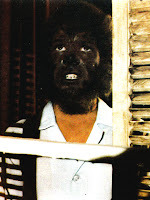 The problem child then turns out the window to face the full moon and begins a lycanthropic transformation. Once in wolf form he attacks and kills the vampires. The next morning Dudley returns to collect the boy, who it is revealed is Dudley’s son. The Children of the Night. What music they make. And that’s it. A story that ends when it really should have just began. 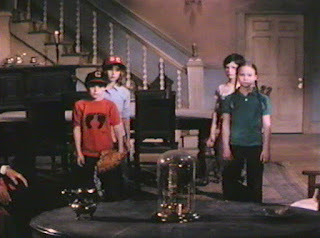 “Young Blood” is the weakest of the three tales contained in Tales of the Third Dimension. This can be blamed on first time director Thom McIntyre, he wrote the script after all. His direction is adequate, he even manages to hurl a few candles at the camera to heighten the 3-D effect, but the script (built on such an absurd premise) is far to heavy handed for its subject matter and devoid of the humor it could have delivered. 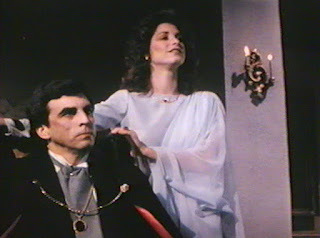 There are no attempts to create a sympathetic Count longing for a child since he is played and written as a caricature of Dracula, complete with an old world accent. Contrasted with the vaudevillian humour delivered by our host Igor from the introductory segment (also written by McIntyre), it is a real missed moment. It would also seem that Mr. McIntyre had also seen a few Paul Naschy films, because where else in moviedom can a werewolf kill a vampire simply by scratching them. Which brings me to the lycanthrope. The transformation of boy to wolf is achieved through a number of mismatched lap dissolves. My copy of the film is pan-and-scanned so I can only assume that we watch the boys hand change color and grow hairier. 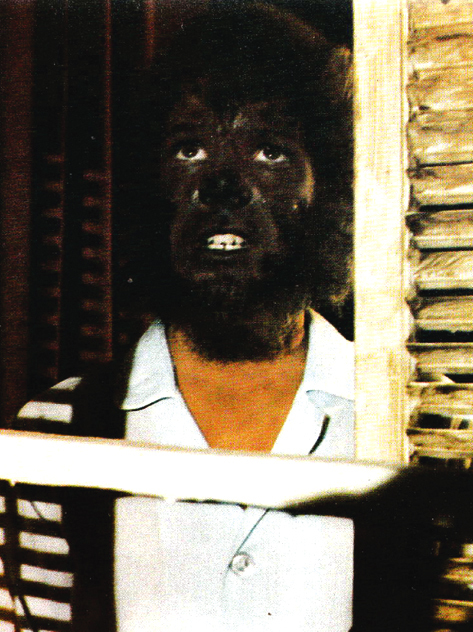 In fact we are never really treated to a good look of the werewolf at all. The bulk of the transformation occurs under a sheet and when it leaps out to attack the Count it is often obscured. We never get a glimpse as good as this publicity still in the film.